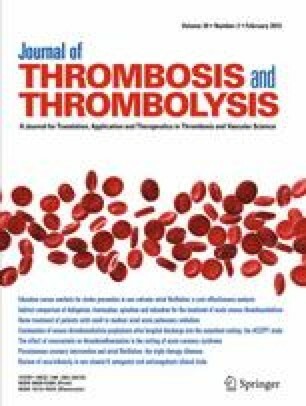 Non vitamin K antagonist oral anticoagulants (NOACs) have advantages relative to traditional vitamin K antagonist oral anticoagulants and represents an important advance in the management of patients with atrial fibrillation and venous thromboembolism. Yet it is unclear whether the clinical trials evaluating these agents were inclusive of diverse populations. To assess the inclusion and reporting of race and ethnicity in clinical trials of NOACs across disease states including, atrial fibrillation, venous thromboembolism, and acute coronary syndromes, we queried PubMed and ClinicalTrials.gov for trials of NOACs between 2007 and 2013. We determined the reporting rate and inclusion of the following ethnic groups: whites, blacks, Asians, and Hispanics. We reviewed data from 30 randomized clinical trials of NOACs that enrolled 184,414 patients. Among these trials, 21 (70 %) reported race/ethnicity data in the primary manuscript or on ClinicalTrials.gov. Principal investigators provided race/ethnicity data for two additional trials. Enrollment by race included: 109,729 (75.2 %) white, 20,901 (14.3 %) Asian, 5,718 (3.9 %) Hispanic, and 2,941 (2.0 %) black. Hispanic ethnicity was only reported in 10 trials. The major clinical trials of NOACs inconsistently reported race/ethnicity and overall black and Hispanic patient enrollment was poor. As such, the relative safety and efficacy of NOACs in minority populations remains uncertain.